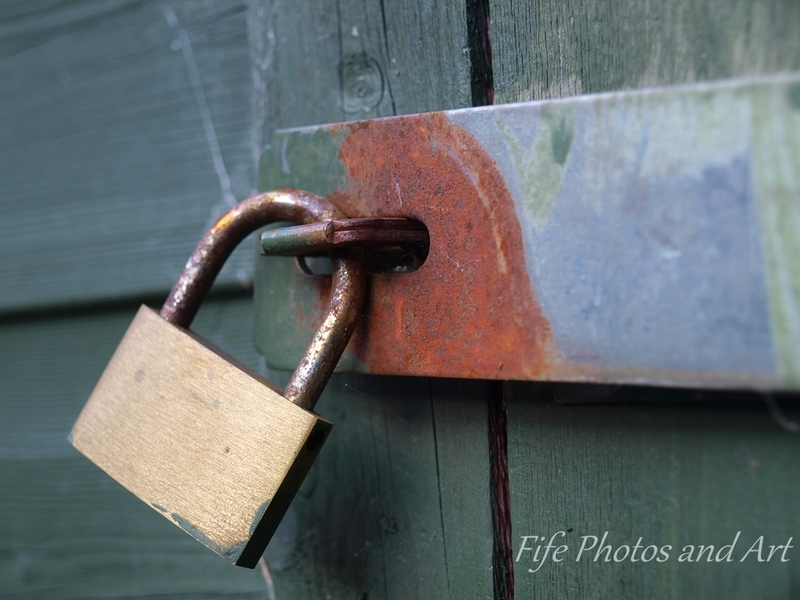 The next two images are of an old(ish) pair of padlocks. 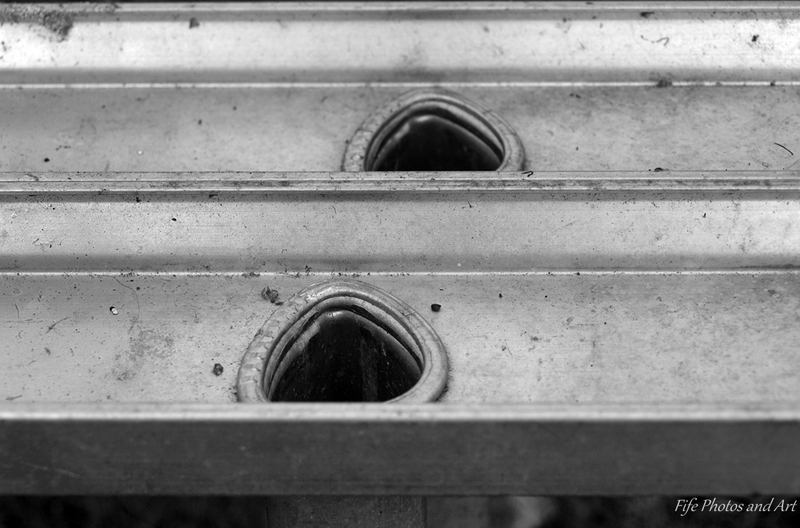 The final photo is of a ladder lying in a garden. NB Even though we didn’t get in to see Culzean Castle, I would recommend anyone to visit it, the grounds and the house itself looked amazing, even in the pouring rain just as it was shutting. Below are three links about the place. This entry was posted in Fine Art Photography, Weekly Photographic Challenge and tagged black & white photography, Weekly Photographic Challenge, wpc. Bookmark the permalink. Your photos are lovely, the detail you’ve focused on making such ordinary things seem so interesting. 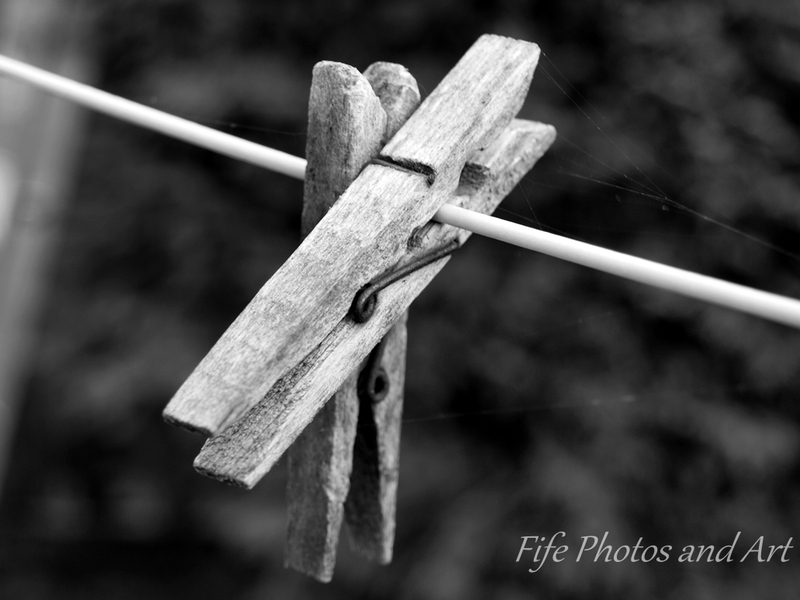 I love the rust on the clothes pegs, and the texture of the wood, as you mentioned yourself. 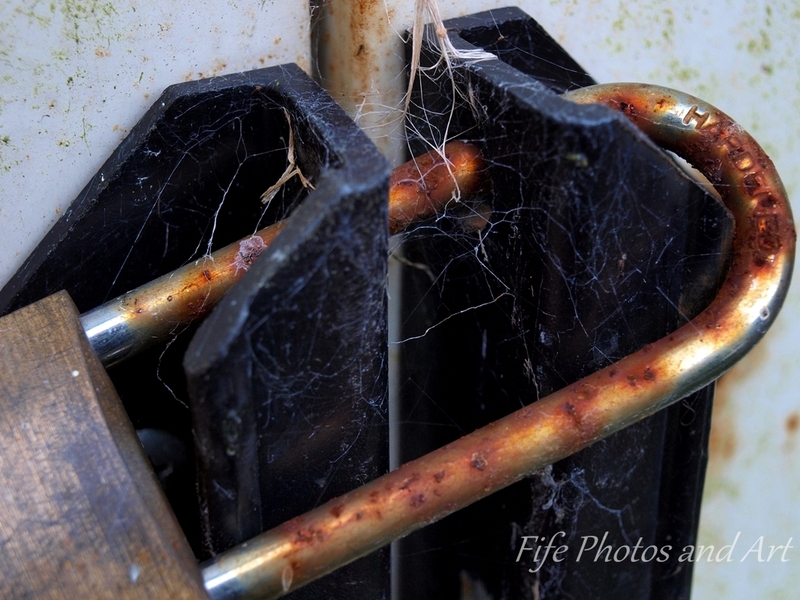 The wispy spider’s web on the lock is excellent, too. The couple who owned your house previously obviously had feelings of grandeur about the house! I guess that they really enjoyed a trip to the Castle, hence the name. Like you, we live in a more modern house, personally I wouldn’t mind living in an older house, my terraced cottage in St Just was built in 1840, but I suspect we will remain in this house for a wee while yet. The whole of the ground floor of my cottage would fit in our present living room!! It’s nice that you have a little cottage as well. I imagine it comes in very handy when you go back down to Cornwall, either to visit people or for a holiday. Still, I think Scotland must be an awesome place to live and you have so many great places to photograph for your blog. Human geography isn’t my thing either, Andy. It’s physical geog. and geology for me. But I did a great course at uni years ago on ‘Historical Geography’. Settlement patterns are all dependent upon the sruface geography of an area which, in turn, is dependent upon underlying geology – with climatic factors thrown in, just to confuse things. Now, I’m sure you really wanted to hear all that waffle at this time of night. 🙂 Nowadays, my love of history equals my love of geography. Funny how we’ve both changed in that respect. What a shame that you missed out on Culzean – it looks a fabulous place, but I’m sure you will have another chance. 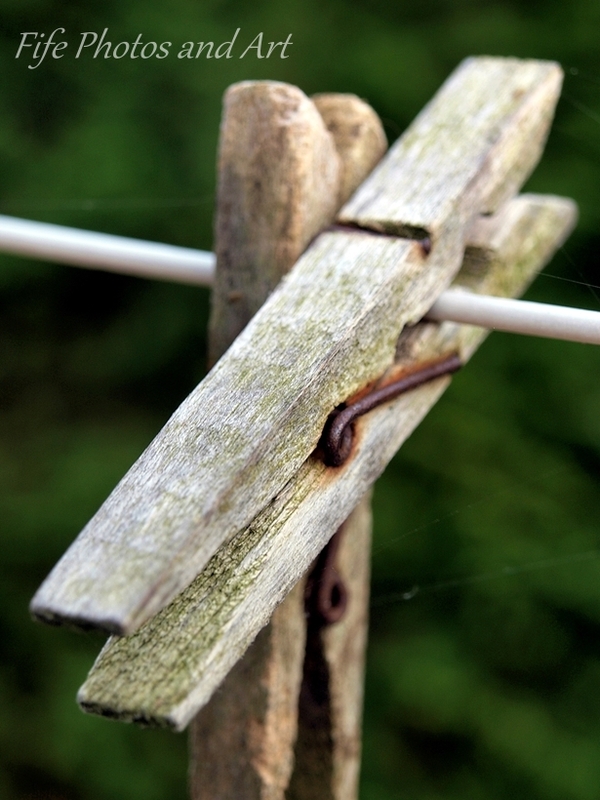 Love those clothes pegs, especially the first one, and the angles made by the spiders’ webs! Your studies of clothes pegs made me come over all nostalgic. 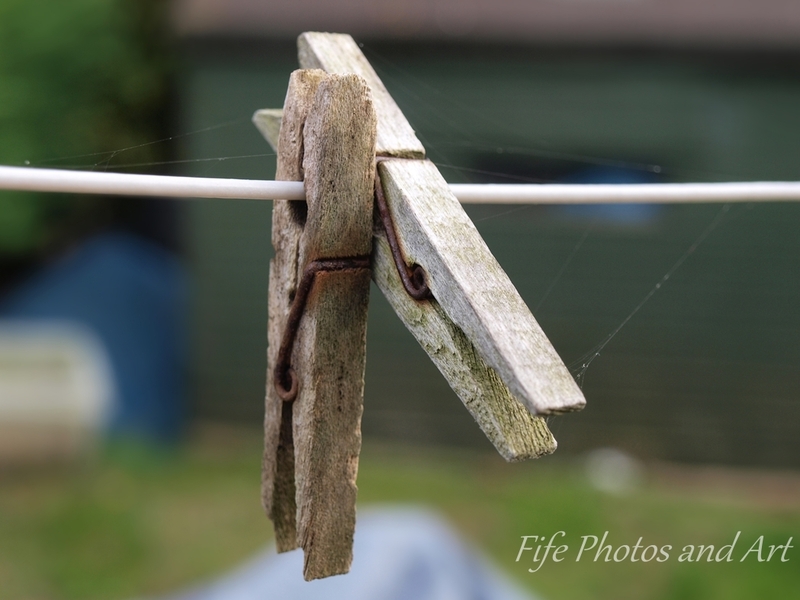 I had old wooden pegs back home and gave them to a friend when we emigrated. Now I have soulless plastic ones. I hope you get back to Culzean some time. Although I have not been for almost 30 years, it made a strong and lasting impression on me. Lovely photos, I especially like the clothes pegs. Sorry to hear about your trip to Culzean, it is a heck of a long way from Fife for a day trip. I went to Culzean a few years ago when I was staying in the south-west and I agree with you that it’s well worth a visit. There’s so much to see, quite apart from the impressive castle.